You can even specify just the top lights as glass for added light with the remainder of the door solid for privacy. Have a look at Irish Oak with an antique handle or go modern with bold colour and choice of glass design. 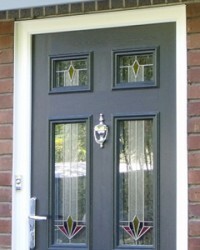 Like all of our doors, there’s a wealth of glass and door furniture to choose from.